Tatiana Schneider (New York) - Book Appointment Online! Dr. Tanya Schneider is a psychiatrist, currently managing a private practice in Manhattan and Brooklyn near the major subway lines. Prior to opening a private practice, she worked as an assistant professor on the faculty of Mt. Sinai Hospital. Dr. Schneider is board-certified in Adult psychiatry. 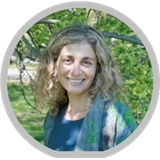 She provides consultations, medical management and brief psychotherapy sessions. The sessions are provided on a bi-weekly or monthly basis. Currently, for a limited time, spaces are opened for new clients. Dr. Schneider is practicing currently with adult population.Her goal is to provide a thorough evaluation and a differential diagnosis, discuss a treatment plan and free client from their past traumas, anxieties, stress, ADHD, depression and other disorders.